Welcome to Webs-a-gogo! - Welcome to Webs-a-gogo! Home of the FREE Website Builder and Designer. Experts in Business Websites | Personal Websites | Professional Websites - Webs-a-gogo/Websagogo provides a free and easy website builder for creating Website Designs for a high profile Business, Personal or Professional web presence. Our easy Website Builder offers pre-designed and Customizable Web Designs. Webs-a-gogo WAG-PACs include a Free Domain Name and Website. Websites | Domain Names | Website Hosting...The easy way! At Webs-a-gogo we pride ourselves in our ability to provide high quality, highly functional websites for business or personal needs. We believe that, soon, almost everybody will have a website and our goal is to provide them efficiently and inexpensively. We have loaded our Webs-a-gogo packages (WAG-PACS) with as many features and tools as we could in order to provide you a website wth everything you may need. NO, it won't cost you an arm and a leg. Our WAG-PACS are priced to INCLUDE Domain Name registration and website hosting. A small setup fee, a little keyboard time, your imagination and our tools is all it takes to have a fully functional, specialized website. When you are ready to get your Websagogo WAG-PAC simply give us a call or click: Launch The Website Wizard! First choose that special domain...ie. yourdomain.com. Your Domain Name should define and describe who you are or what you do. Your domain Name is included FREE with our most popular WAG-PACs. 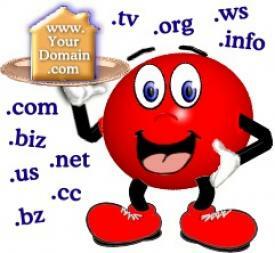 Once your get your domain name you will own your very own piece of the web. Your own Domain! Next choose a website from our design library that fits the needs and features you want to offer visitors. We have many colors, styles, themes and layouts available. Also our custom devision can modify any design you like to work with your Webs-a-gogo Module Website. Together, You and Webs-a-gogo are only limited by our collective imagination! Choose a Webs-a-gogo Hosting Package or what we call WAG-PAC. This selection determines the features, tools and add-ons you will have with your site. It also determines the additional FREE value added items you get with yur purchase, such as a Domain Name, Free Hosting Time, Level 2 or 3 support, and other promo discounts! It has never been easier to get a full featured WEBSITE under your complete control! Perfect for individuals and businesses large & small ! 1. Webs-a-gogo WAG-PAC Pkg: Best Value! This is a Webs-a-gogo Hosting Package which includes a Webs-a-gogo Module Website (WAG-MOD) together with a Domain Name of your choice*. With a WAG-PAC your can select a customizable website design from our website design library, then add your own touches to it. It's easy and we provide all the support you will ever need. This option is our most popular to date and you can get it now by clicking the yellow "Launch the Webs-a-gogo Website Wizard" button above. Once your site is built, you will enjoy one low monthly price for hosting of your website, with annual renewal costs for your domain name, which was included with your initial WAG-PAC offer. Also, see below for more info on both our WAG-MOD website and the WAG-PAC Hosting Package Offers. This Webs-a-gogo Hosting Package, which includes a custom designed Webs-a-gogo Module Website (WAG-MOD)created just for your, as well as a domain name of your choice*. 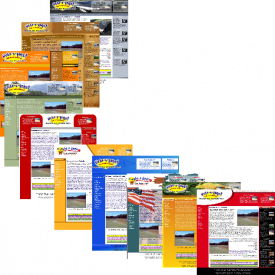 The one-of-a-kind, custom website design you get is unique to your needs and specifications and, is integrated to work with the Webs-a-gogo WAG-MOD Content Management System. While the basic WAG-PAC costs are similar, there are additional costs for the custom graphics-design work involved with creating a new website. Usually, unless you have some really great and unique needs, these costs run $75/hr and take 5 to 10 hours. Once your site is built, you will enjoy one low monthly price for hosting of your website, with annual renewal costs for your domain name, which was included with your initial WAG-PAC offer. Also, see below for more info on both our WAG-MOD website and the WAG-PAC Hosting Package Offers. This is a custom build from the ground up. Everything is about you from the first line of code and the first splash of color. After a consultation with you and/or your team, we will kick our creative assets into high gear to produce a one-of-a-kind website according to your needs and specifications. Anything is possible and the answer is YES. All server-side platforms, languages and styles are possible. Databasing, web applications or whatever you need ... we can do it. Typically, these projects run by the hour or by contract. To find out more, speak to your web specialist, or contact us by using our Live Chat, Phoneor Contact Form.